When it’s roasting outside, the last thing you want to be doing is roasting inside. Hot recipes and carb-loaded food can be really unappealing when the temperatures are soaring and it can be challenging to get little ones to eat properly and stay hydrated when they’re feeling hot and grumpy. If you’ve exhausted your capacity to barbecue, here are some fun and delicious summer recipes that will keep you and your family refreshed, hydrated, and even entertained too! Having your own lemonade stand is an Americana rite of passage and can be a great way to entertain kids and help them cool down at the same time. The recipe is little hands-friendly as long as you do all the chopping and blending; all they need to do is mix three cups of quartered strawberries and one cup of cold water for you to put in the blender then add two cups of chilled sparkling water and as much lemon juice as you prefer, you can even add a little sugar if the strawberries aren’t sweet enough. Finish with plenty of ice and some funky straws for a refreshing drink that’s perfect for hot summer days. 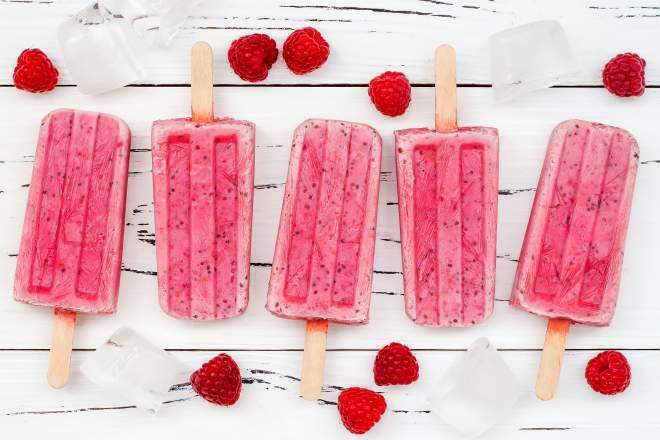 Everyone loves ice lollies in summer but it’s much more fun and healthy to make your own than to buy them from shops. The best thing about homemade ice lollies is that the possibilities are endless too! Our favourite thing to do with little ones is to set up an ice lolly making station and let them whip up their own concoctions. Provide an ice lolly mould and different ingredients like juices, flavoured yoghurt, chopped fruit, and sprinkles then let their imaginations run wild. Refreshing recipes don’t always have to be sweet! If you’re looking for some hot day dinner inspo, why not try a delicious gazpacho? There are thousands of recipes online that you can modify depending on your family’s likes and dislikes but, whichever one you choose, these cold and refreshing soups are always easy to make and perfect for cooling down a warm summer’s evening.